If you are looking for church wedding singers, you need look no further than Brenda Grealis who is a Multi Award Winning Wedding and Church Singer. Brenda, from Mayo also covers Galway, Sligo & Roscommon and Leitrim and Nationwide. She has been singing at church and civil ceremonies for most of her life. She has built up a reputation for being a much sought after Wedding Singer and Musician, and this is evident in the testimonials that are given by couples she has performed for. She is a highly trained and experienced performer. Instruments available for Ceremony: Harp, Piano, Flute,Low Whistle and Guitar. Brenda is a solo performer, she sings and plays all her own instruments, therefore there are no additional charges for accompanying musicians. 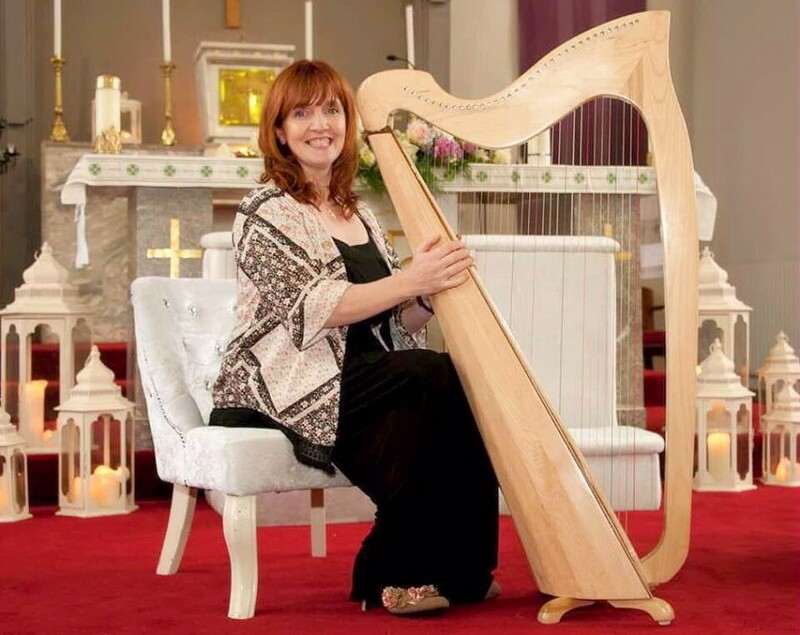 Brenda’s aim is to provide and beautiful and unique soundtrack for your wedding day ceremony, incorporating all the various styles and genres of music she performs., from classical, traditional to modern and current day music. The music for your wedding day should be meaningful and appropriate and should reflect the couples personalities. Brenda will work with each couple to create and unique and personalised song and music list for your ceremony. Brenda can offer a high quality service at an affordable price and has various packages available to meet you needs. As Brenda performs and sings herself, there is no additional cost for an accompaning musician. Brenda performs all her music live at the ceremony without the use of backing tracks. Check out the rest of our Galway section for more listings - with photos, videos and news.